Introducing the Call of Duty® Companion App: your definitive, 24/7 source for all things Call of Duty. 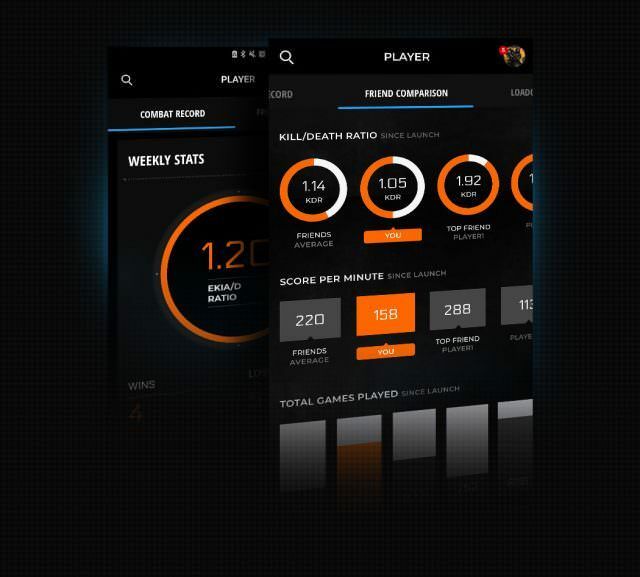 Ever wanted to track your Call of Duty game stats on the go? Well now you can. 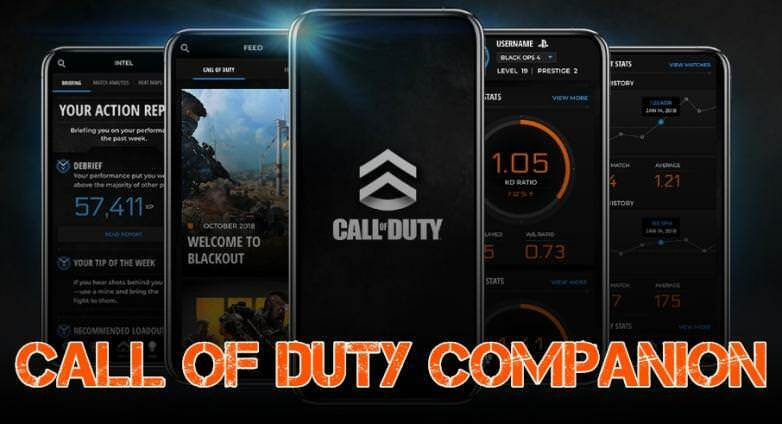 Today, November 1st, Activison has released the official Call of Duty Companion app on both App Store or Google Play store. There are three main functions for the app. Players can use it to connect with one another via the app. They can also received personalized recaps and tips based on their weekly in-game performance via leaderboard stats and information from the game barracks for your console. 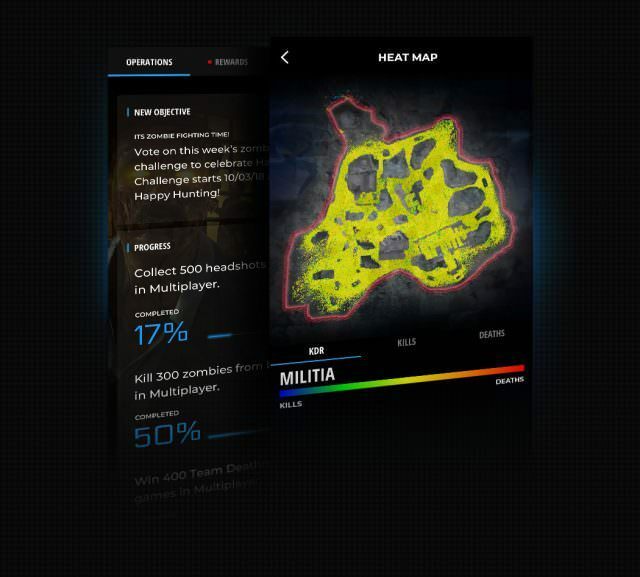 Lastly, the app gives you all sorts of updates in the Call of Duty world including upcoming events, patches and more. One of the main functions of the CoD Companion App is that players can track friends' progress, accomplishments, battle stats and more. In addition, players can form squads with up to 20 others and in-game and exclusive rewards by completing certain objectives, including weekly challenges across all various Multiplayer games modes and Zombies. This is a call back to the old Call of Duty Elite website from back when Modern Warfare 3 was just released. As mentioned above, the Companion App also allows players to receive and review personalized recaps of their match over the week to help them improve in areas that they are having trouble in. This spans across Blackout, Multiplayer and even Zombies. These recaps will include weekly Action Reports, Briefings, and statistics of weapons, equipment, and load-outs, all based on how the player performed in their matches the previous week. The various stats included in the report include EKIA and W/L ratios, shots firsted and player accuracy, total time played and more. The app uses all this to give the player suggestions on their gameplay to improve their ingame stats. The app will also notify players of upcoming events, updates, patches and other related news to both Black Ops 4 and WW2 (will it is still being supported). In a move to get players to download the app, devs are rewarding players who sign up with 500 CoD Points to spend on cosmetics from the games shop. Activision also announced that there are future updates to the Companion App in the works that will add more advanced features, such as the ability to edit load-outs and customize characters. If you are interested in using the app, you can download it from either the Google PlayStore or the Apple App Store. Will be using this, Thank You.